After adopting a child, the adoptive parents’ main goal will be to raise that child as perfectly as possible. 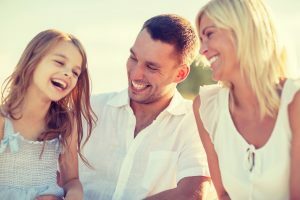 From providing an abundance of love to explaining the adoption process, these parents will face a unique set of challenges that biological parents do not have to worry about. As a top choice over any adoption agency in California, our adoption center understands the ins and outs of this delicate process. A is 4 Adoption is here to provide comprehensive mediation and support services for open adoptions in order to foster a positive, nurturing household for the child. From comprehensive birth mother help to full adoptive parent support, our center is here to provide a personalized adoption plan to benefit all parties involved. Today, we’ll look at some common holidays that can cause emotional distress and how to best prepare your family for the holiday. Your adopted child may begin to exhibit withdrawn behaviors or negative emotions in the days leading up to a holiday or calendar event. Birthdays, for example, are a common time for adoptees to feel a conflicting wave of emotions. While the child cannot directly remember their birth and the final stages of the adoption process, subliminal stories and emotions can add up to remind them of this traumatic event. Without conscious thought, your kid may experience a multitude of negative emotions. These feelings can surface without warning and may be hard for your little one to understand. Mother’s Day is another time that can prove complicated. While it is the perfect opportunity to celebrate the love and care of an adoptive mother, the biological parent may be left out altogether. Christmas is another holiday, where family celebrations often cause feelings of grief or even guilt. Even if your child was adopted at birth, they still have a life history that should be respected and embraced. Your child may be grappling with complicated and recognized emotions, making the entire process more difficult to understand. If you as the adoptive parent see that your child is experiencing negative emotions, it is always best to talk with them in order to verbalize and inspect these feelings. Finding the root cause behind any emotion is helpful for helping both the parents and the child understand what the source of the stress is. Ask what is happening and how that thought makes your child feel. Explaining these emotions can do much to help the entire family cope with any stresses resulting from holiday celebrations. If your adopted child is upset about their non-biological standing, it’s vitally important to assure them that their place here is the result of ultimate love and caring. You as the parents were fortunate enough to grow your family while the birth mother loved her child enough to give him or her up in order for them to live an amazing life. One of the major benefits of open adoption is the ability for the birthmother and adoptive parents to interact. From photographic updates to party invites, there is a wide range of ways for families to include the biological mother. While every situation is unique and differing levels of involvement are recommended, the act of simply involving the mother to some degree can do much to mitigate the stress of celebrating the holidays as an adopted child. 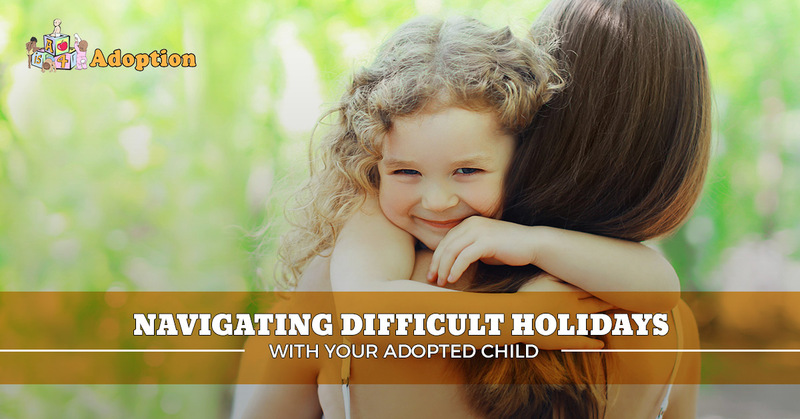 As always, communication and understanding are the prime factors to focus on for adoptive parents who are seeking to minimize any negative emotions. Whether your child is receiving a gift on their birthday or merely a written letter for Christmas, the smallest exchanges can have profound outcomes. Holidays can instill complicated, negative emotions in adopted children. Being able to recognize these adverse feelings and stepping in to help your child can result in much more favorable outcomes. A is 4 Adoption focuses on helping both parties in private adoption to have a quick, painless process. Unlike a standard adoption agency in California, our adoption center focuses on the individuals’ needs to tailor an adoption plan that benefits all parties. We provide comprehensive birth mother help to improve the pregnancy and adoption experience, as well as full support for the adoptive parents. Contact us today to learn more about our optimized system!